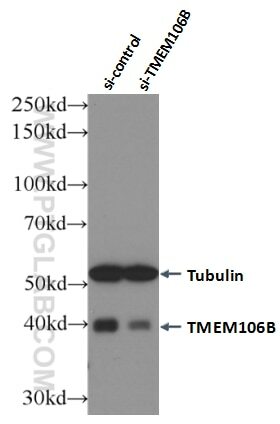 Immunohistochemical analysis of paraffin-embedded human cerebellum tissue slide using 60333-1-Ig( TMEM106B Antibody) at dilution of 1:200 (under 10x lens). 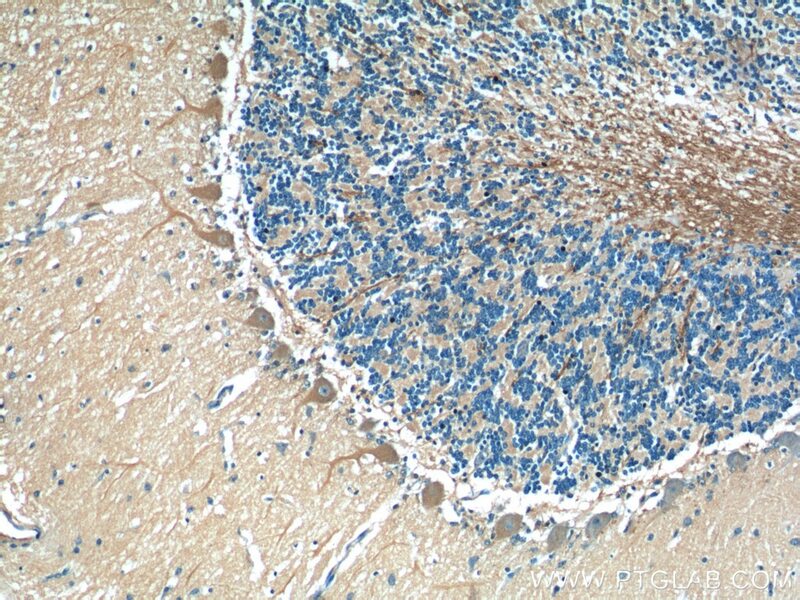 Immunohistochemical analysis of paraffin-embedded human cerebellum tissue slide using 60333-1-Ig( TMEM106B Antibody) at dilution of 1:200 (under 40x lens). TMEM106B is a genetic risk factor for frontotemporal lobar degeneration with TDP-43 inclusions (FTLD-TDP). 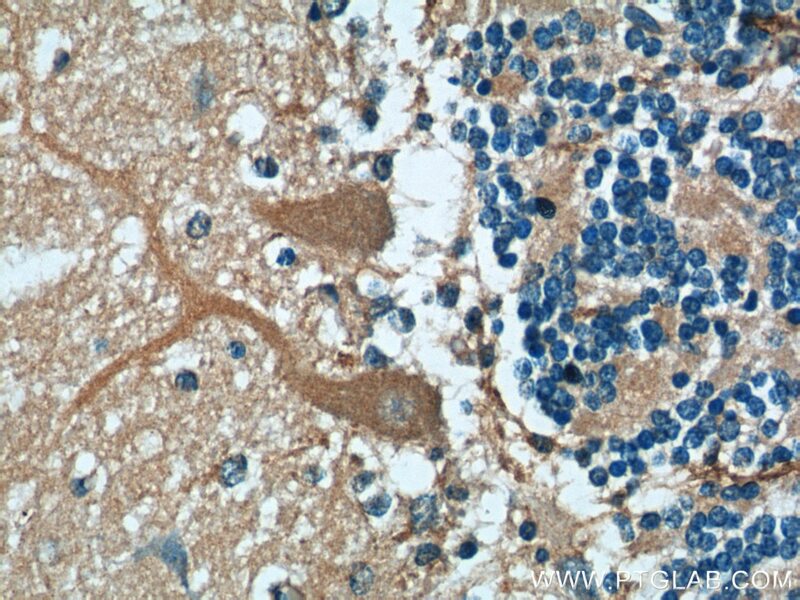 Amyotrophic lateral sclerosis (ALS), like FTLD-TDP, is characterized by pathological TDP-43 inclusions. TMEM106B expression in the brain may be linked to mechanisms of disease in FTLD-TDP and risk alleles confer genetic susceptibility by increasing gene expression.